The demands for the high capacity drives are rising, mostly in enterprises and customers who can afford it. The high capacity drives are mostly used in NAS configuration and storage arrays. Many companies are busy to making high storage drives. 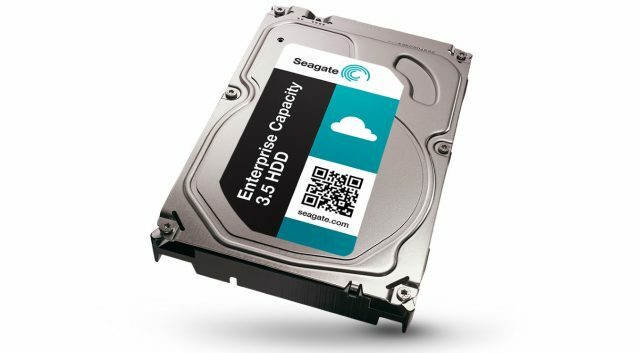 Such as the company – Seagate announced a 10TB hard drive previously, and now the company is back with an announcement of the larger 16TB hard drive. The company said that it plans to release the new massive drive in 2018. Seagate is noting that the 16TB behemoth would still be a regular 3.5 inch drive that means you will be able to use it in a regular desktop. 16TB drive should give you enough room for all those 4K GoPro movies you have been shooting. “Our eight terabyte product leads the market in cost and performance and we are pleased with the ramp of our 10-terabyte product in terms of quality, performance, and customer qualifications,” Steve Luczo, Chairman and CEO of the company said. Luczo also said that Seagate customers are currently testing its 12TB helium-based hard drive and providing positive feedback. It will follow the 10TB version released a year ago for the enterprise sector, relying on helium to create a turbulence-free environment inside the hard drive shell for packing in more spinning platters. These platters are what store data, which are read like a record player by stationary read/write heads. However, the Seagate said in 2013 that it also plans to produce a 20TB hard drive in 2020 by using shingles magnetic recording. By launching 16TB hard drive, Seagate is getting closer to reaching its goal of making 20TB hard drive. If you cannot wait until 2018 for 16TB of hard drive of storage space into your computer, so don’t be worry about that – there is also a Samsung’s 15,36TB SSD that will also fit into your computer. The Samsung 15,36TB SSD storage device priced at $10,000.